GST stands for Goods and Service Tax. From 1st July 2017 GST is applicable in whole country. In this article we have to discuss top 8 important points about the GST in India. GST (Goods and Service Tax) bill is passing on 3rd August 2016 in India. Before the GST there are different kind of taxes are applicable in the goods and services. The tax rate on the same goods is different in different states. Now, after the GST only single tax for single nation is applicable and tax rate will be same. There is no need to pay any extra tax after the GST. GST is seen most important economic reform of the decade’s. Now, GST imposed by the State and Central government. Prices of goods and service almost same in the whole country. Manufacturing cost reduced due to which making goods cheaper for the customers. GST is an indirect tax which is applicable on goods and services both. Let’s discuss 8 important points about the GST in India. 1. GST System CGST and SGST both will be charged on the manufacturing cost. These tax collected at the point of sale. 2. GST is an indirect tax. After the GST Central Excise Duty, Service Tax, Additional Custom duty, Special Additional Duty of Custom, Vt, Sales Tax, Central Sales Tax, Entertainment Tax, Octrio & entry tax, Purchases tax & luxury tax will have gone. 3. In GST only three type of taxes will be charges CGST, SGST & IGST in whole country. CGST stands for Central Goods and Service Tax. The CGST charged by the Central Government of India. SGST stands for State Goods and Service Tax. SGST charged by the State Government. 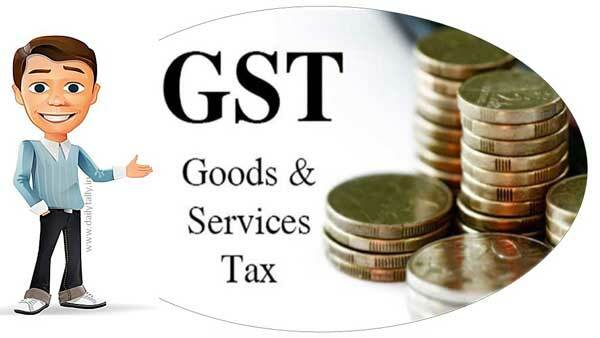 IGST stands for Integrated Goods and Service Tax. IGST charged by the Central Government of India. The tax amount is divided in same ratio between the two states. 4. GST is an important tool which stop the black marketing. After the GST both sales and purchases transaction detail stored in the Government records. 5. GST not only increase the GDP but also generate new sources for employment in the different sectors. After applying the GST, financial position of different states much stronger. All the unnecessary expenses will stopped after applying the GST. 6. More than 160 countries already implemented in the GST. 7. You can easily enroll for GST online from GST website. 8. There are four type of tax slab used in the GST. These slab rates are 5%, 12%, 18% and 28%. Tax rate on the Luxury and demerit goods will be 28% plus cess. Nce information in very simple words. Important informations of GST have been arranged under 8 important points heading.This is very good summary of main points of gst.Appreciable efforts. Thanks for your appreciation it will give me boost for prepare much better articles. Please keep in touch.